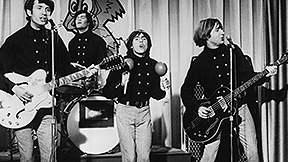 Category Archives: Ken Michaels’ Every Little Thing: It’s a Beatles Extravaganza! The latest, swinging edition of Ken Michaels’ Beatles spectacular, Every Little Thing, ushers in the show’s April slate of broadcasts with a set that’s all about the green: Money is the subject at hand in tonight’s theme set, and it’s a doozy. The fun kicks off tonight at 8 pm ET (5pm PT). Before luxuriating in a set stocked full of cash (not literally, mind you), Ken rolls out an opening, varied set of solo Beatles tunes from George Harrison, Paul McCartney and John Lennon. Bonus track: Peter and Gordon check in with a live version of “I Don’t Want to See You Again” from the Ed Sullivan Show. Tonight’s second set presents a Beatles track from the Live at the BBC collection (“I Just Don’t Understand”) and the same song waxed by actress and singer Ann-Margret. Wings’ “Hi, Hi, Hi” caps off the musical fireworks. The Beatles’ all-about-money set counts out the dollars and cents with six group and solo tracks, each with the word money in the title. Entry point: “Taxman.” The song that plays after the last dollar is counted: “Money (That’s What I Want).” It’s a fun set that comes at a particular, shall we say, taxing time of year. Don’t miss the fun tonight at 8 pm ET (5 pm PT). Ken Michaels’ Every Little Thing will be on the air. It’s going to be a fab-ulous time for all! Ken Michaels welcomes columnist and author Kit O’Toole to Every Little Thing tonight at 8 pm ET (5 pm PT) on Pure Pop Radio. In tonight’s second segment, Ken talks to Kit O’Toole about some lesser-known Beatles songs that she feels deserve extra consideration: “When I Get Home” and “Things We Said Today,” both of which are played. All you’ve got to do is listen to tonight’s all-new edition of Ken Michaels’ Every Little Thing. Tune into Pure Pop Radio at 8 pm ET (5 pm PT). Enjoy! A pair of songs from Ringo Starr’s 2010 Y Not album, an interview with the famous Liverpudlian drummer, and a set of Beatles and solo Beatles songs with the word “home” in the titles power tonight’s repeat edition of Ken Michaels’ Every Little Thing, first aired in February of 2014. The fun begins tonight at 8 pm ET (5 pm PT) on Pure Pop Radio. Tonight’s third set features an array of songs with the word “home” in the titles, such as the Beatles’ “When I Get Home”; Paul and Linda McCartney’s “Eat at Home”; and Paul Simon and George Harrison’s duet sung on the Saturday Night Live television program (“Homeward Bound”). Join Ken for an hour’s worth of fab sounds on tonight’s repeat edition of Every Little Thing. Tune to Pure Pop Radio at 8 pm ET (5 pm PT). Tonight’s encore performance of Ken Michaels’ Every Little Thing features a whole lot of Beatles and solo Beatles tunes, a Ringo album two-fer, and a set of beautiful songs you’re sure to love. The fun begins on Pure Pop Radio at 8 pm ET (5 pm PT). Ken is off and running with tonight’s opening, varied set of Beatles and solo Beatles numbers. First up: a medley of the Fabs’ “Drive My Car,” “The Word” and “What You’re Doing” from the Love album. The fun set ends with a cover of “I’m Looking Through You,” essayed from artist Martin Simpson and included on the compilation, Rubber Folk: A Folk Tribute to the Beatles. It’s all about the “beautiful” in solo Beatles music in tonight’s third, themed set, as Ken spins five songs with the word “beautiful” in the titles. You’ll hear Paul McCartney’s “Beautiful Night” and George Harrison’s “Beautiful Girl,” among other great tunes. Don’t forget to stay tuned at the end of the show for Ken’s weekly Beatles trivia question. Test your Fabs knowledge! Ken Michaels has a barrelful of fun all set to explode during tonight’s all-new edition of Every Little Thing, kicking off at 8 pm ET (5 pm PT) on Pure Pop Radio. You’ll get the distinct sensation of being airborne in tonight’s third, themed segment, during which Ken plays a selection of songs about flying from the Beatles and Paul McCartney, including a pair of rare McCartney b-sides. 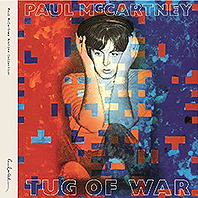 All this and the usual varied opening set, which includes a previously-unreleased track from McCartney that’s included on the new reissue of the Tug of War album, is in store for you tonight. 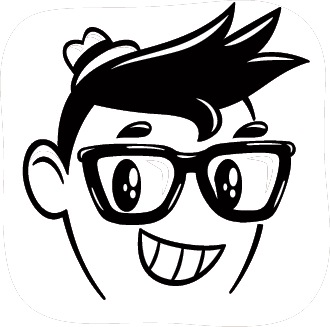 Don’t miss this all-new edition of Ken Michaels’ Every Little Thing. The fun begins at 8 pm ET (5 pm PT) on Pure Pop Radio.